There is a lot of beer news going on this week, and we’ll start with today’s Freshcut Monday release at Lost Forty. The brew team has put together a fascinating version of its Look-See Hefeweizen, featuring roasted coffee from Blue Sail in Little Rock and cacao nibs from Izard Chocolate. Lost Forty says the Coffee and Cacao Nib Hefeweizen has a striking nose and plenty of chocolate, banana and clove flavors. This is one complex profile; I’m eager to give it a shot and see how this one turned out. It’s available by the glass only at the taproom starting at 4 p.m. today. By the way, if you want to meet some of the Lost Forty team this week, they’re holding a special tasting session at 107 Liquor in Sherwood from 4 p.m. until 6 p.m.
We don’t have a lot of details just yet, but Blue Canoe Brewing Company looks to be the latest Little Rock brewery to offer its beer in cans. The brewery has teased some beautiful cans of 4×4 Pale Ale on its Facebook page. I’ve been told that some cans will be available this weekend after the St. Patrick’s Day parade, with distribution coming some time in April. This is exciting news for Blue Canoe, which has grown impressively with the addition of the warehouse and lunch service at the taproom. 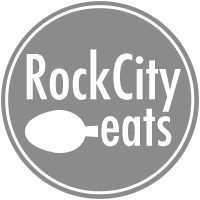 Check back with Rock City Eats tomorrow for more details on Blue Canoe cans. For those (like me) who have been badly missing Josiah Moody’s beer, your days of suffering will soon be over. We’ve learned that Bike Rack Brewing Company in Bentonville will soon be selling its cans in Little Rock. It is still a couple of months away, but the first wave of Bike Rack cans will most likely include the golden ale, IPA and amber ale. Soon after, you can expect a mixed 12-pack that will include a couple of seasonals, which is really great news. Moody was formerly the head brewer of Vino’s Brewpub and Moody Brews before heading to Northwest Arkansas a couple of years ago. With the hiring of Void Cellars brewer Mark Sniff, we knew Flyway Brewing would soon be interested in starting its sour program. That got underway this week with a couple of brews that will take plenty of time to mature. Flyway has started both its Magdalene Tripel and a basic wheat ale in separate Chardonnay barrels and has added Brettanomyces to both start a long souring process. Owner Jess McMullen says they might add some fruit at some point, but they aren’t in any hurry right now. Look for Flyway to continue to add barrels to its brewery throughout the rest of the year. We have some new details about the second anniversary party for Rebel Kettle Brewing Company on April 7. Beer and Loathing in Little Rock will feature a barrel-aged beer tent with six brews, including a barrel-aged Russian imperial stout and “Preachers and Pimps,” with is a Belgian quad aged in rum and bourbon barrels. Also, several Rebel Kettle seasonal favorites will be making an appearance, like Purple DinoSour boysenberry sour saison and Pulp, a mango sour IPA. Also, Rebel Kettle is bringing out Katmandu Momo, Loblolly and Sauce(d) food trucks to serve the masses. The event is free to attend; of course, beer and food will still cost. And if you want a picture of just how wide Arkansas’ craft beer scene is spreading, take a look at Baxter County in North Arkansas. The mostly rural county will soon be home to three breweries, which would have been unheard of not too long ago. Gravity BrewWorks in Big Flat is the oldest and is no stranger to Arkansas beer festivals. Rapp’s Barren opened last year in Mountain Home and has a truly beautiful taproom. And coming this summer, Norfork Brewing Company in the tiny town of Norfork will also be opening. Norfork is hoping to open on May 19 for the town’s Pioneer Day. If you visit one brewery, by the way, you better hit all three. Baxter County is a three-hour drive from Little Rock, so bring your friends for the road trip. Props to John the Beer Snob for first reporting on Norfork’s upcoming opening day. Do you have some beer news you’d like to share with us? 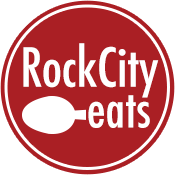 Email steve@rockcityeats.com.